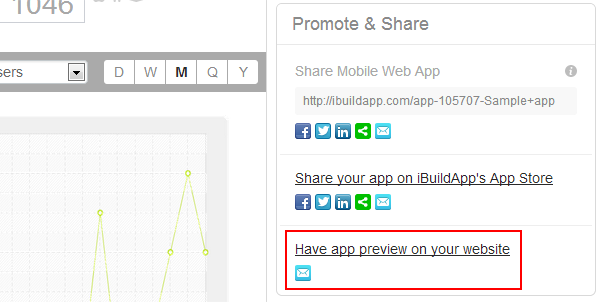 You can embed you app preview on your website or blog. You need to refer to your "Dashboard" page and find "Promote & Share" section on your right. 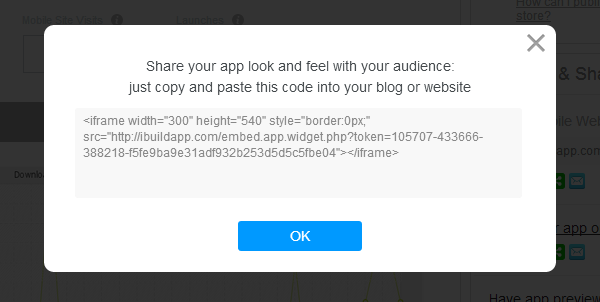 Click on the "Have app preview on your website".